Come and celebrate your special occasion with us! 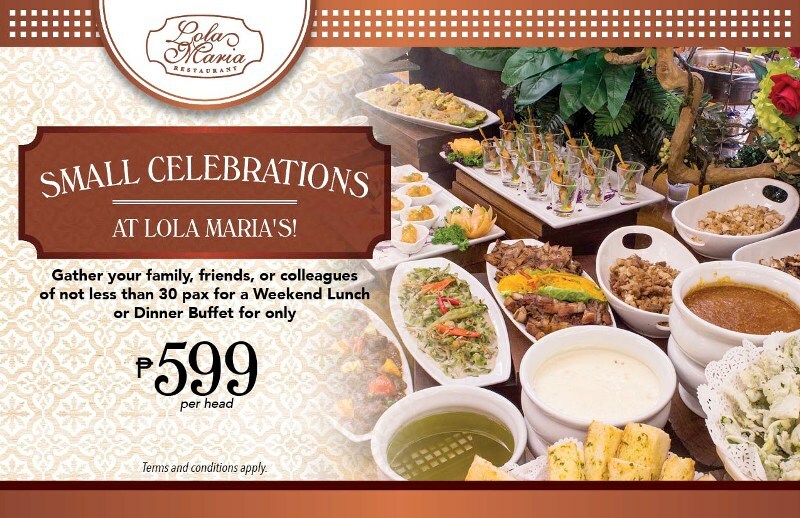 For a minimum group reservation of 30 pax, enjoy a Weekend Lunch or Dinner Buffet at Lola Maria Restaurant for only Php 599 per person. Offer valid until October 31, 2019. Terms and conditions apply. Contact us at 702-2793 or 0917-6589358 for inquiries and reservations.